A “Welcome to Country” is the unwritten rule that Aboriginal people are still using and have done so for thousands of years. This acknowledgement pays respect to the Traditional Owners, ancestors and the continued cultural, spiritual and customary practices and rights of Aboriginal people. It also provides an increase in awareness and recognition of Australia’s Aboriginal peoples and cultures. It has become protocol for all Aboriginal people and the standard by which is used by all Australians to acknowledge, recognise and pay respect to the Traditional Owners of the lands. This is a thousand year old standard of behaviour that shows respect to each other and continues to be practiced to this very day. 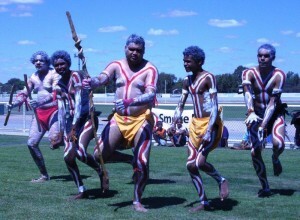 It is an acknowledgement for Aboriginal groups to carry on their cultural responsibilities for their traditional lands. The Njaki Njaki Nyoongar people traditional lands cover the towns of Nungarin, Trayning, Kununoppin, Doodlakine, Hines Hill, Kellerberrin, Merredin, Westonia, Carrabin, Bruce Rock, Corrigin, Hyden, Kalgarin, Kondinin, Kulin, Muntadgin, Shackleton, Narembeen and Moorine Rock. The Gubrun people traditional lands cover the towns of Bencubbin, Koorda, Mukinbudin, Moorine Rock, Beacon and Southern Cross. 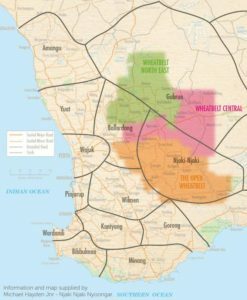 The Ballardong Nyoongar people traditional lands cover the towns of Tammin, Wongan Hills, Dowerin, Wyalkatchem, Cunderdin, Meckering and Quairading. Njaki Njaki Traditional Owner Mick Hayden offers an authentic Aboriginal experience that takes you on a journey of the world’s oldest and continuing culture. Njaki Njaki Aboriginal Cultural Tours offer tour options including Merredin Peak Tour and Moulyk Dreamin Tour. As a visitor, we ask that you pay respect to the land and the places you choose to visit. Please remember and respect the cultural values of these significant places and understand that Aboriginal people continue to have strong connections and a spiritual relationship not only to the places but also the ecological and geographical environment. The many granite outcrops, waterways, land formations and flora and fauna within the region holds much cultural significance to the Traditional Owners through a continued relationship that spans over thousands of years. “Please remember that each step you take today, is in the footprints of our Ancestors”.